Nostalgia sometimes plays a wicked trick on us into thinking that a game we once loved would be as good when put alongside the current offerings that we have right now. While some games have made a comeback and brought a ton of happiness along with them. more often than not, when a game or series we enjoyed returns, it feels like a dagger to the heart by absolutely sucking, therefore tarnishing the love we once had for it. 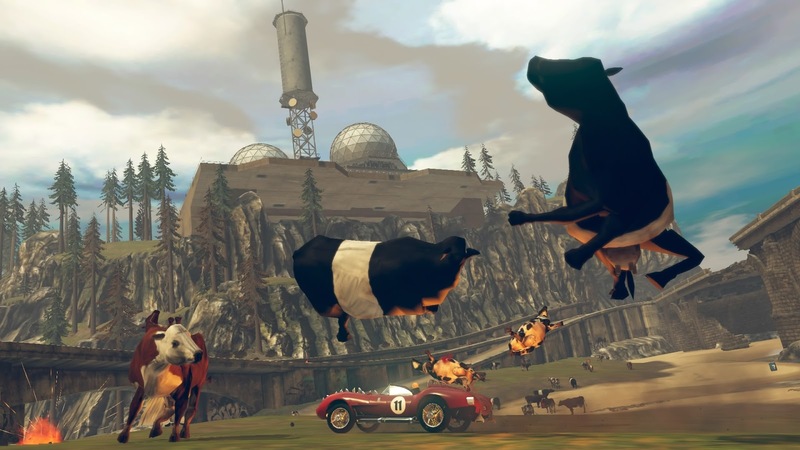 Carmageddon is a series of games that passed me by first time around in all honesty. Judging the game only on what I've read and seen about it, I went in almost expecting a GTA like experience form the game, where it seemed that shock value was the main aspect and what was mostly focussed on when reading the press releases and seeing new trailers for the game. Running pedestrians over in games was a fun thing to do back in the late 90's, we were an easy bunch to please. A lot has changed in gaming since that time however, so to shock the average gamer now it would take a lot more than simply being able to run things over. Let me be blunt right away, Carmageddon: Max Damage is a utter shocker of a game. Not only does it look like I loaded up a PS1 to play it, but both gameplay and entertainment value that the game has is so below par that I find it hard to sum up how bad it actually was to play. Forcing myself to load up the game just to finish this review has been hard enough to do, so God only knows how I would have felt had I spent the £29.99 asking price for it when it released. While the game has a bunch of modes on offer with the likes of Career, freeplay, and multiplayer all at hand, I can't pick out one of them that saw me getting a tiny bit of enjoyment out of them. This is mostly down to the car handling that the game has, which almost felt like I was either driving after drinking lots of alcohol, or the roads were just simply made of ice. A simple corner can end up with you just spinning in circles no matter what car you picked has, and it's made even worse when you add in cars that are dying to break you car into pieces. It just left me getting annoyed at the game rather than seeing me laughing at what I guess was meant to be something enjoyable. Multiplayer is more of same, only this time around for some reason they decided to take out the pedestrians. Perhaps the game couldn't handle so much going on screen at once with the game now being taken online. Either way, it was yet another portion of the game that I can't see myself loading up again in a hurry. You also have the chance of upgrading a car of your choice by finding tokens hidden around levels as you play through them, but even after adding these to a car I still found the handling horrendous. Overall: I could go on and on about the bad things that this carmageddon has, but I'm pretty sure by now you get the picture. 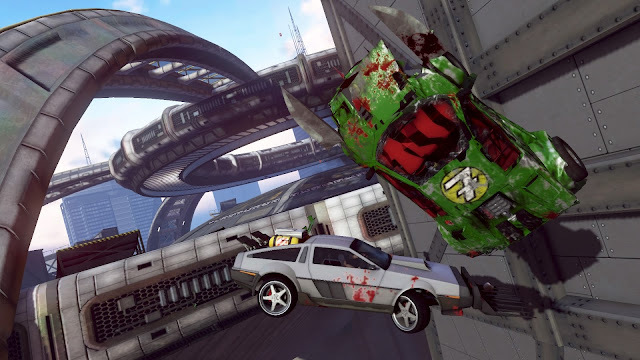 Carmageddon: Max Damage is perhaps the worst game that I've played so far this year on my Xbox One, perhaps all time. 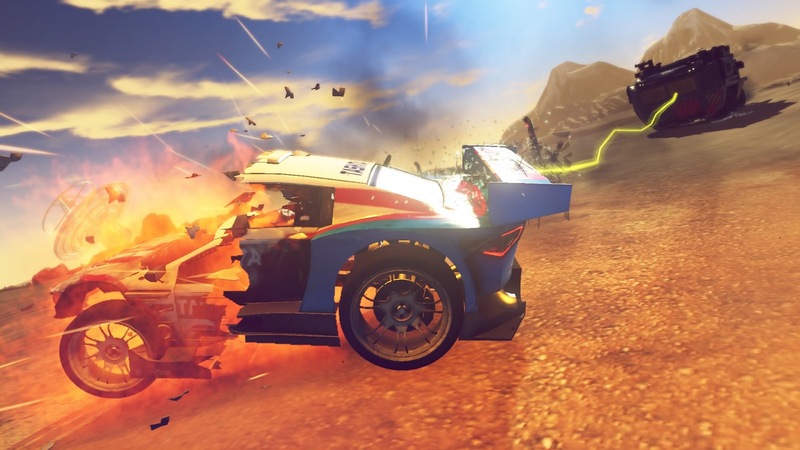 I'm a guy who likes to always have some sort of light at the end of the tunnel part in a review even if the game is terrible, but for Carmageddon I just can't give any sort of hope for those who decide to pick this up.